Flange: DN15…300 / 1⁄2…12"; wafer version: max. 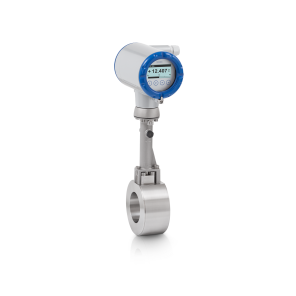 DN100 / 4"
The OPTISWIRL 4200 is a Vortex flowmeter with integrated temperature sensor. 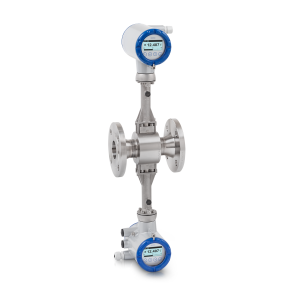 It is best suited for flow measurement of liquids, dry or humid gases and saturated or superheated steam in supply processes (auxiliary service) and distribution networks. The device is also the optimum solution for advanced energy management systems (acc. 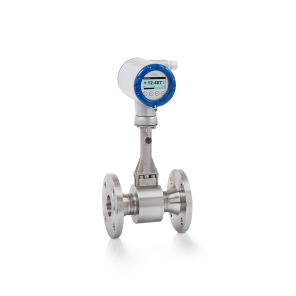 to ISO 50001) as it can be supplied with integrated gross and net heat measurement for steam and condensate. 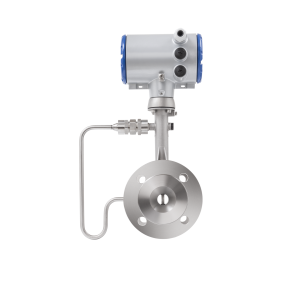 For gas and steam measurements with varying process conditions the Vortex meter can also be equipped with an optional integrated pressure sensor. 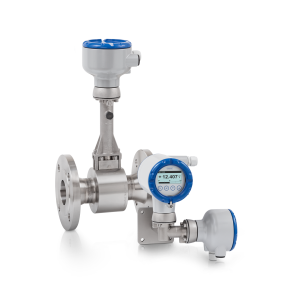 Unlike traditional Vortex meters, the OPTISWIRL 4200 is able to combine flow, temperature and pressure measurement as well as flow calculation in just one device. This saves approx. 45% of installation costs and results in a better overall system accuracy. The flowmeter is available with flange connection or in flangeless wafer design. It can also be delivered with integrated nominal diameter reduction and as field mount version (with cable length up to 50 m / 164 ft). The OPTISWIRL 4200 is designed for use in Safety Instrumented Systems (SIS) and has approvals for operation in hazardous areas.